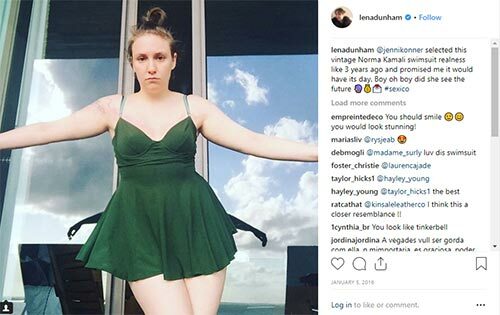 “Bodies change, we live a long time, things happen.” Lena Dunham, the American actress, producer, writer, director, and the creator of hit HBO show, Girls, said it after facing a lot of heat on the internet for losing weight. She, however, made it clear that she lost the weight for herself and wasn’t trying to impress anyone. Leading a healthy lifestyle helped her cope with the mental issues she had been struggling with for decades. And that’s why it is important to talk about Lena Dunham’s weight loss story. Keep reading to know how she did it and how you can shed the excess pounds and be stronger – mentally and physically. 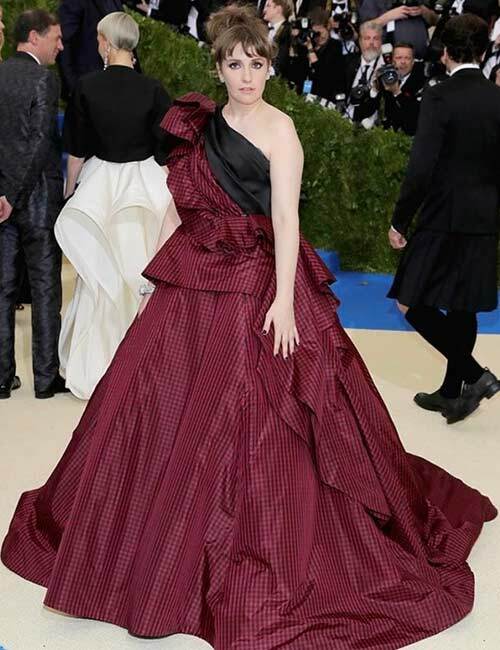 Lena Dunham – Who Run The World? Girls! 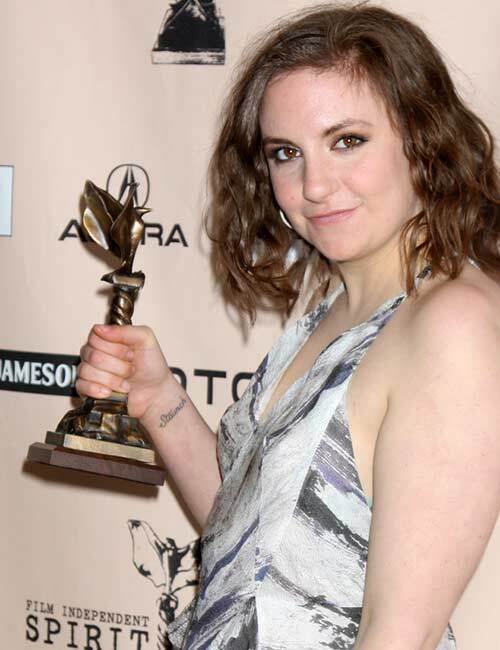 The creator of the hit HBO show, Girls, Lena Dunham was never bothered about her size. She had always been ok with people calling her, “baby cow” and “bag of milk”. And why not? She was busy collecting awards (Emmy and Golden Globe) and getting recognized as one of the best female directors, actors, and screenplay writers. But she was also struggling with depression, anxiety, and OCD. She was on medication, and, in her own words, it took her 16 years before she could finally get up, hit the gym, and start working out. What happened next? 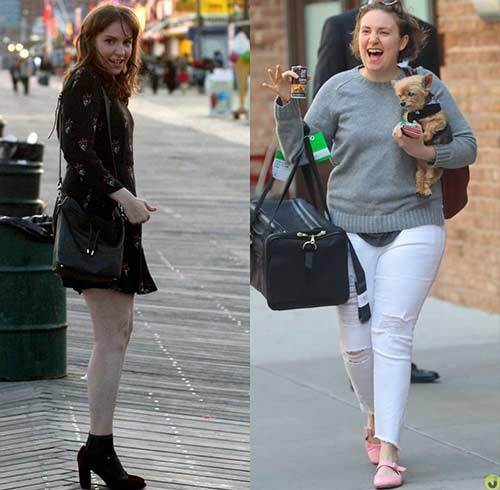 Lena Dunham’s Weight Loss – What’s It All About? 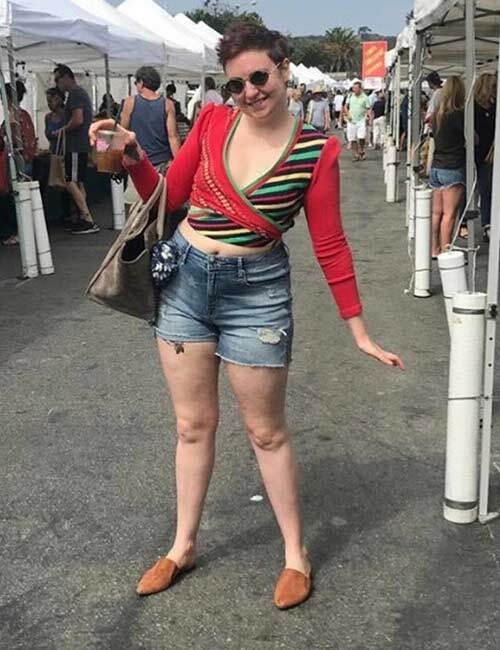 Lena Dunham’s weight loss journey is all about feeling good and being positive. Once she started working out, she started feeling better, calmer, and stronger. Weight loss was just a by-product of her being active. 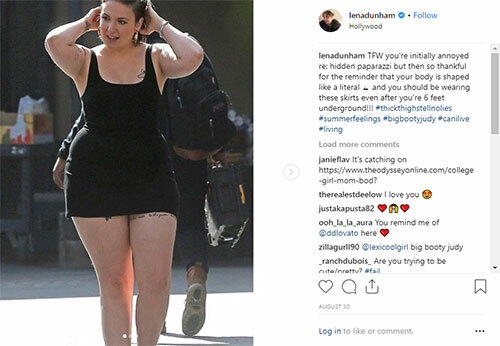 But Lena also posted a series of Instagram posts, where it was clear that while her slim figure got her all the attention and compliments, she felt much better when she was happy. Genuine compliments made her happier than getting invited to special events or wearing designer clothes. It took her three years to shed some serious pounds and get a bikini-ready body. She is fierce and has the strength to do so many things and also take care of her personal issues. The message is – you do not have to conform to a certain size. But yes, if you think that your mental and/or physical health needs improvement, you can follow the tips mentioned below. Consume 4-5 servings of three different veggies per day. Consume 3 servings of three different fruits per day. Consume a source of protein with each meal. You may consume 3 whole eggs per week if you are lightly active. Avoid egg yolks if you have high cholesterol. Consume 3-4 cups of green tea/oolong tea per day. Drink 3 liters of water per day. Remember, you also consume water from food sources. Drink detox water if you tend to forget drinking water. Consume healthy fats like olive oil, fatty fish, nuts, and seeds. Work out at least 3-4 hours per week. Do a mix of cardio and strength training. Make sure you maintain good posture and keep breathing while working out. Mention any injury or pain to your trainer before starting to workout. Sleep for at least 6-7 hours. Give yourself time and relax. If you follow these tips, you will feel much better. So, coming back to the point, why did Lena face such bold accusations and bullying on the internet? Because all she was doing was getting her health back. Well, let’s take a quick dip in the body image and body positivity pond. Why Did Lena Face Backlash After Losing Weight? 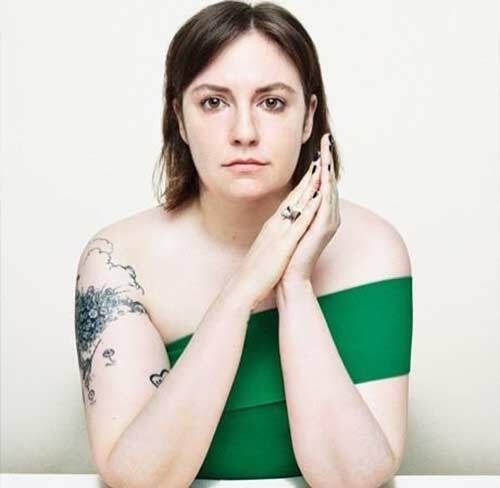 Lena Dunham faced so much backlash because, for many, many years, she was unapologetically in love with her body shape. And her confidence gave a lot of her fans the confidence to be who they were. Lena was quite vocal about body positivity and that no one needs to be size 0 to look or feel pretty. When she lost weight, people were shocked. She was labeled a “hypocrite” for shedding a few pounds. The fans and people who looked up to her probably felt cheated. How could Lena lose weight and leave Team Body Positivity? What they did not understand is that she is and will always be Team Body Positive. Body positivity means accepting people of all sizes, and, more importantly, yourself. 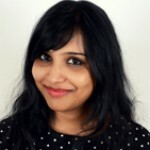 Body image, a much deep-rooted psychological aspect of one’s mind, is about how you think your body should look like, and how it looks in the mirror. True, many of us have a skewed body image (which has led to the rise of fads and eating disorders). So, it is very important that you talk to a doctor before deciding to follow any diet. If your health is in danger and your doctor has recommended a diet and workout plan, follow it. But we also must learn to respect others’ decisions (including celebs) regarding their body. This picture shows how happy Lena feels not confining herself to a particular shape. 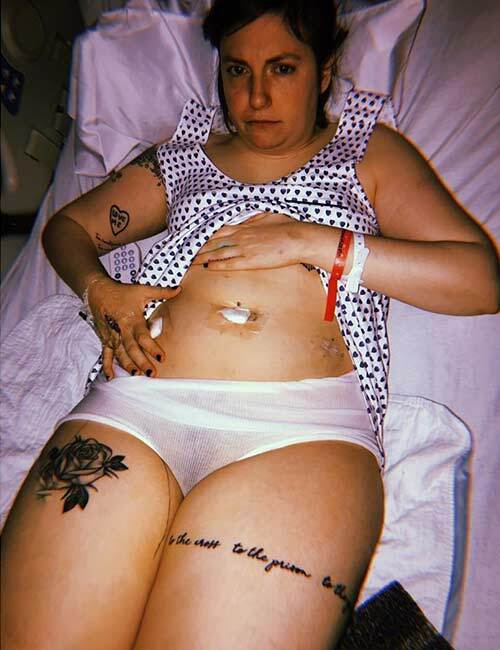 We wish that Lena Dunham has a speedy recovery from her recent surgery. She is an icon and will continue to inspire many women and many across the globe. You go, girl!